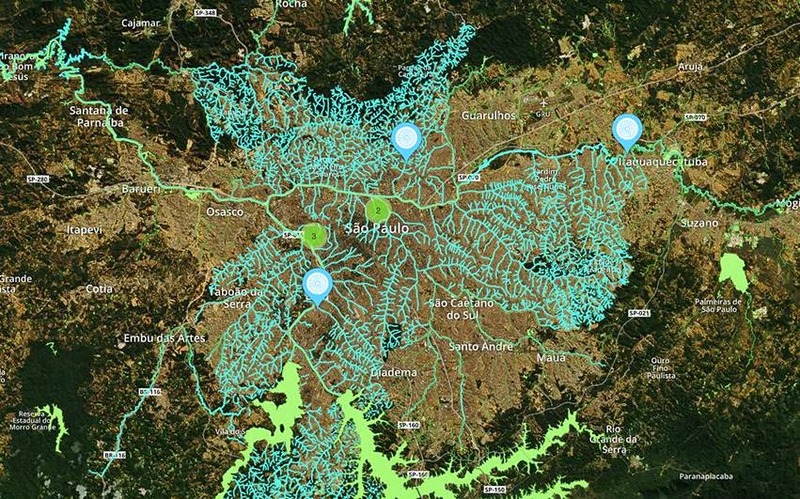 Rios invisíveis is a collaborative project launched this year which aims to map all of São Paulo's rivers and project them onto an online searchable graphic. It was born out of the EcoHack World, an environment-focused international initiative aiming to map, visualise and database environment related information. Using official data from the municipality of São Paulo as a starting point, the aim is to get ordinary citizens to pool their collective knowledge of their neighbourhoods to further map where rivers run and where they used to run. 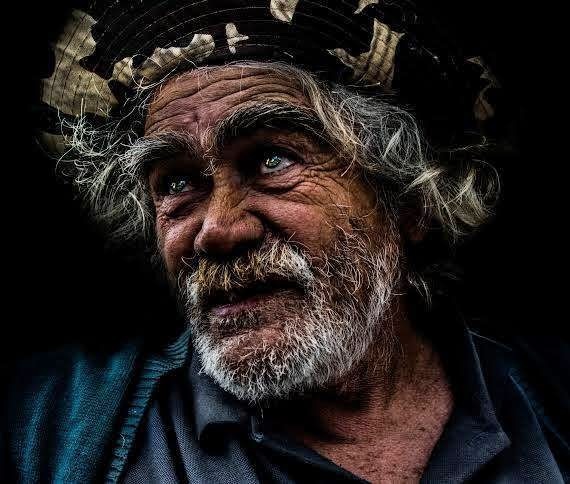 As much of this information resides only in the memories of Paulistas and there are few other methods of recovering this historical information, the project has become known as invisible rivers or rios invisíveis in portuguese. 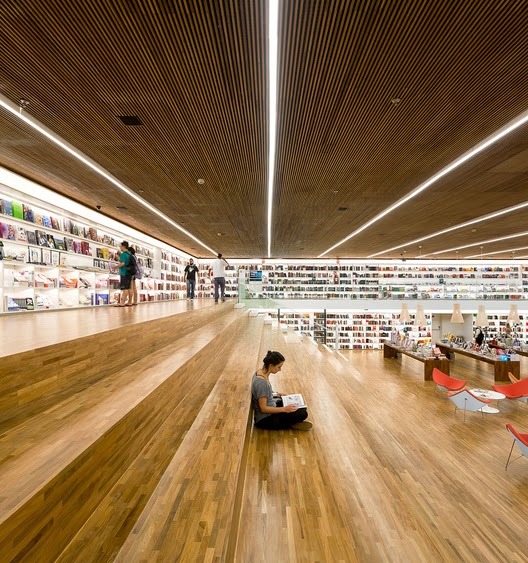 Livraria Cultura bookshop was recently recognised as the Best Retail Interior Design at an international design festival held in Singapore. 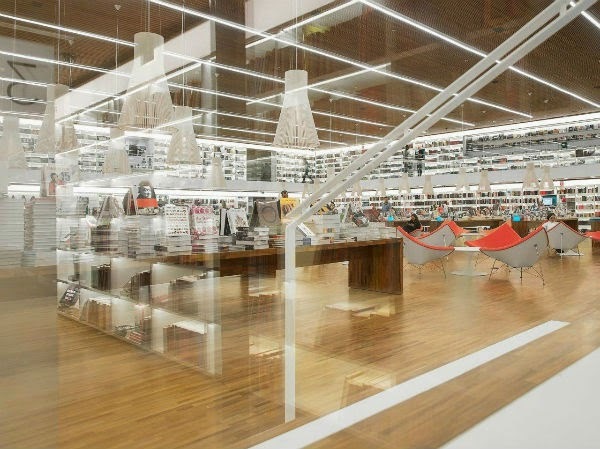 The store, which was conceived by Studio MK27, beat Harrods and a number of fashion concept stores to win the prize. 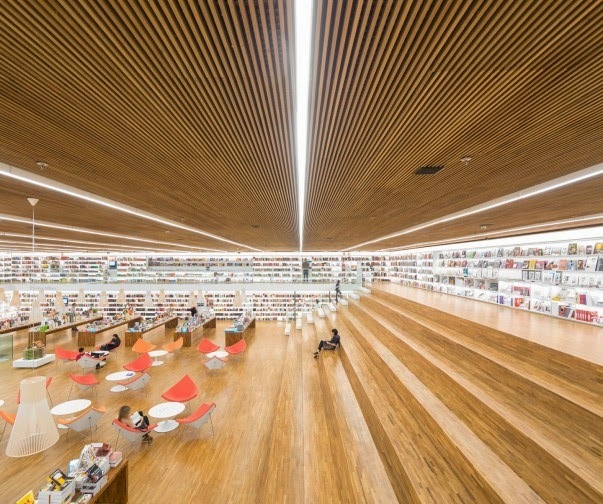 São Paulo is not always associated with innovative buildings but there has been a shift towards more thoughtful constructions in recent years. 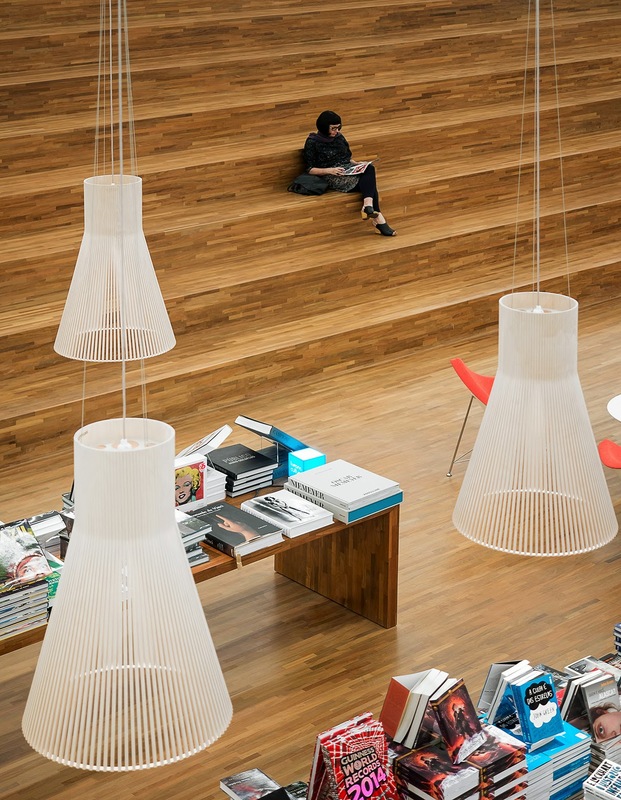 This time Livraria Cultura brings us a whole new take on the bookstore concept incorporating areas for socialising, relaxing, events as well as the primary functions of reading and purchasing. 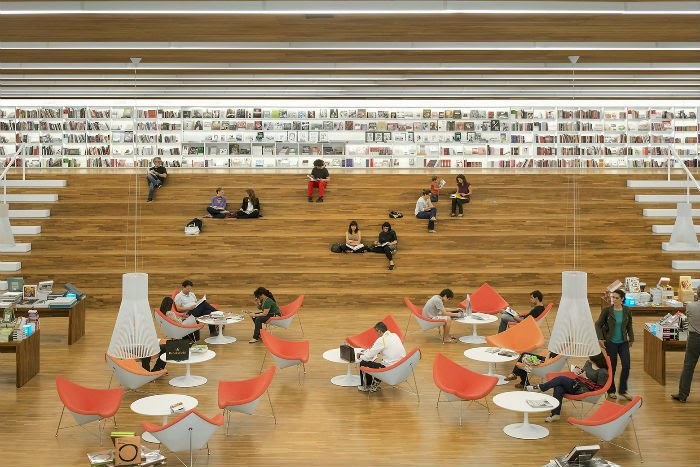 Rather than being a transactional place, what has been created is a a beautiful and inviting environment of a multi-purpose nature promoting a "stay and read " culture above purely commercial aims. 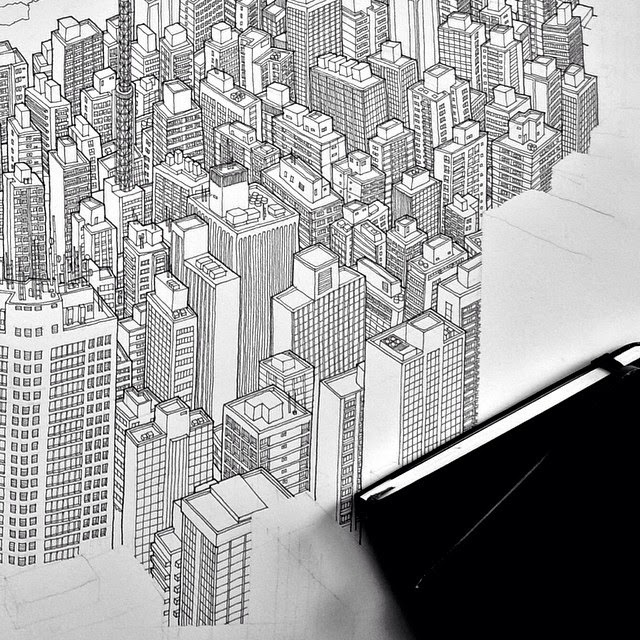 If you get a chance, go check out the work of Miguel Castello. The exposition called Memórias da Rua is going on right now at Estação da Luz. 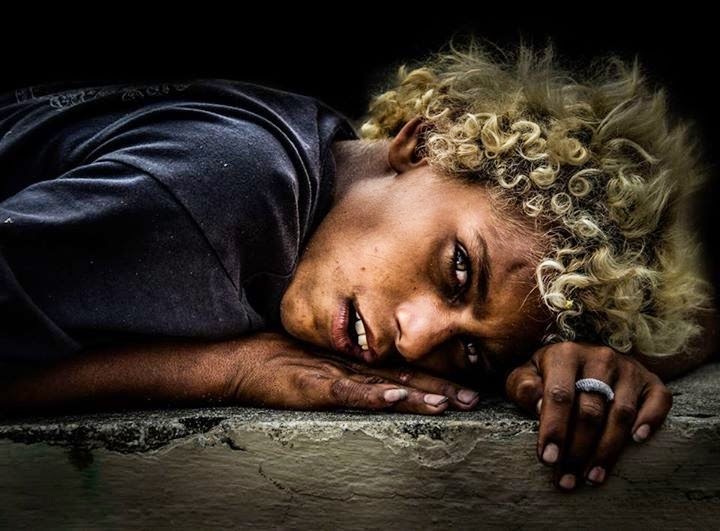 Miguel`s powerful photographs portray homeless people living in São Paulo. Admission is free, the expo runs until Nov 30th and is supported by the Fundação e Instituto Justiça Solidária. 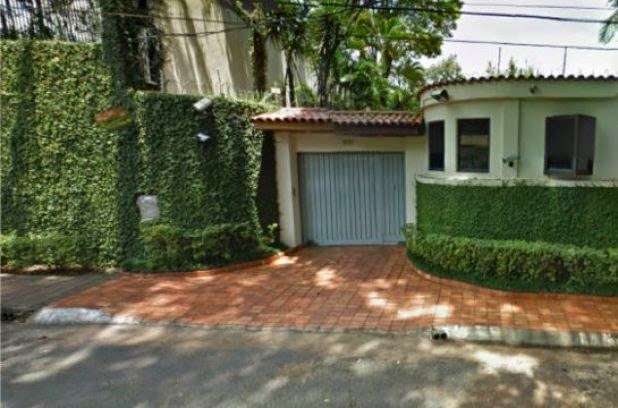 Apparently the official residence of the head of Canada’s mission to São Paulo will have to make way for a regular Apartment. This comes amid the effort by the Department of Foreign Affairs to rake in $80 million from selling off diplomatic estates worldwide. The official residence was apparently bought in 1985 for $424,000. We`d love to know where the house is located and what it goes for now. Seems like for some politicians in Canada, it is "too large and too costly"... oh my. Metronews continues: In fact, Foreign Affairs thought it may be a little too impressive. Babcock wrote that the Sao Paulo residence was “far too large and far too costly” for Canadian taxpayers to stomach — although the department failed to provide cost estimates to Torstar News Service.“We believe that our operations abroad can be just as efficient and welcoming to guests, while keeping hard-working Canadian taxpayers top of mind,” Babcock wrote in the statement. The sale is part of a strategy, announced in the Conservatives’ budget in 2012, to “right size”foreign missions and sell off “high-cost, oversized and/or poorly located housing,” according to Foreign Affairs. 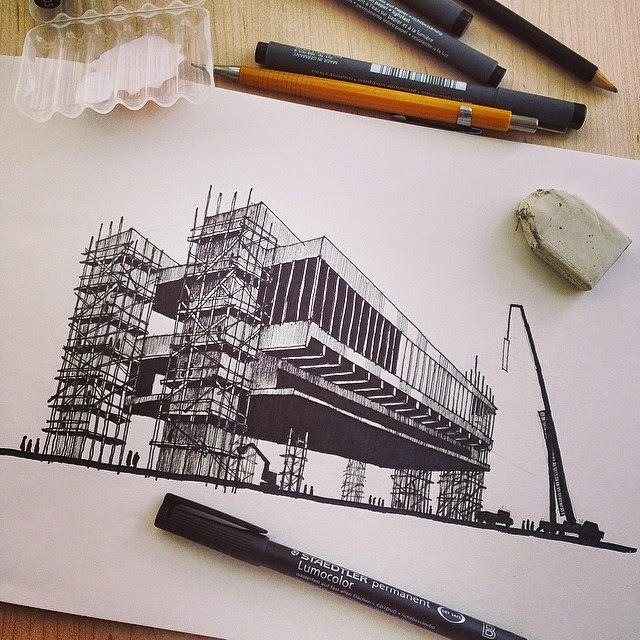 PARQUE DO GATO by PEDRO BAYEUX via CROP THE BLOCK. The guys at Crop the Block bring together local film makers, who explore cities around the world through creative video. This wonderful Short is about a place called Parque do Gato. "Parque do Gato was a slum years ago - now is a housing development and a public art gallery, in the neighborhood of Bom Retiro. 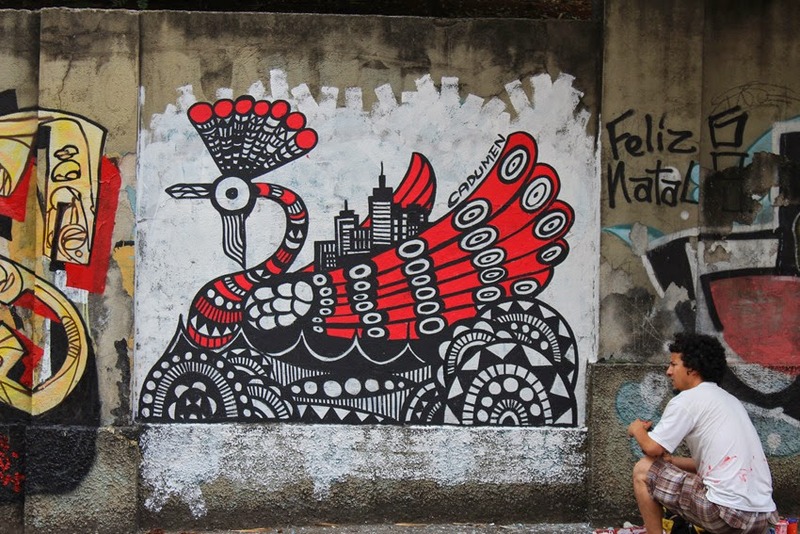 During the last World Cup, I was looking for places to take photos and illustrate the context of São Paulo: every time that I went near to the "Parque do Gato", my curiosity was higher - and the desire to make a short film there, also. This place is not really easy to find. Can be dangerous, can be harshly realistic, but now, with the buildings all painted, is definitely a paradoxical touristic point." There are many more really cool short films at Crop the Bloc and the work of Pedro and Projeto Revivarte is absolutely worth following. Insight Crime recently published startling new figures on prison overopulation in São Paulo highlighting institutional failures in rehabilitating prisoners and the creation of new "Carandirus", the infamous and now defunct prison which was once the largest prison in South America as well as the scene of the greatest police on prisoner massacre in modern times. Of course it's not the first time we talk about overcrowded prisons in São Paulo but the situation is getting increasingly more serious. 2,749 = the number of prisoners counted last month in the São Bernardo dos Campos CDP which has a capacity of 84. 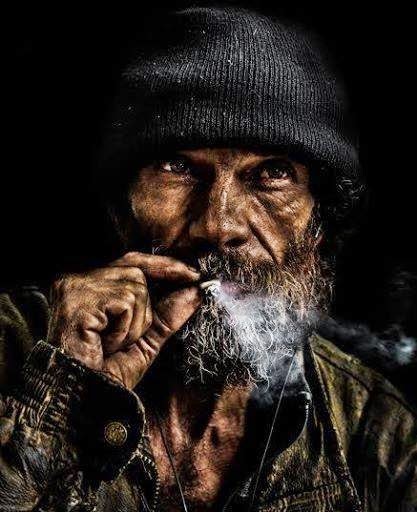 And to make matters worse, due to processing and judicial delays, prisoners are actually entering the system faster than they are being released..
Amer is a a travelling architect or perhaps it is a better description to say that he is a traveller with a formal interest in architecture. 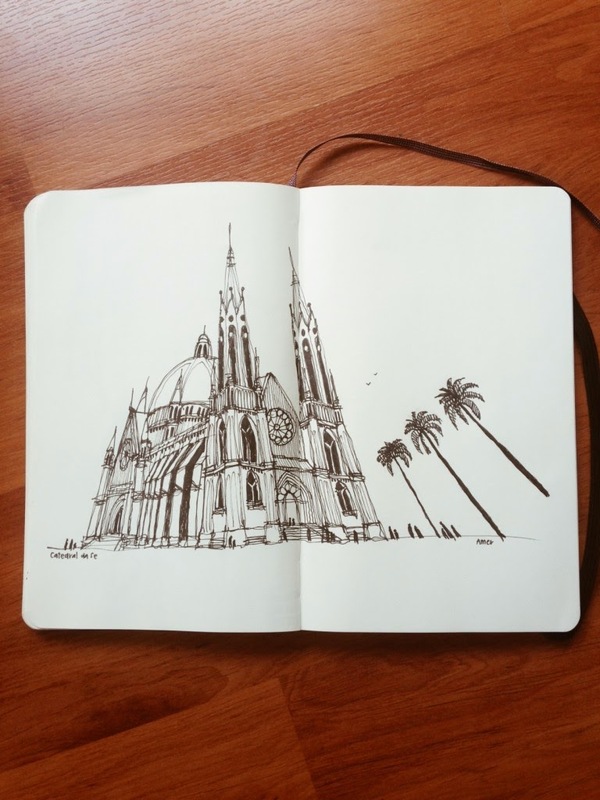 Either way his take on travel blogging is to sketch buildings as he goes. 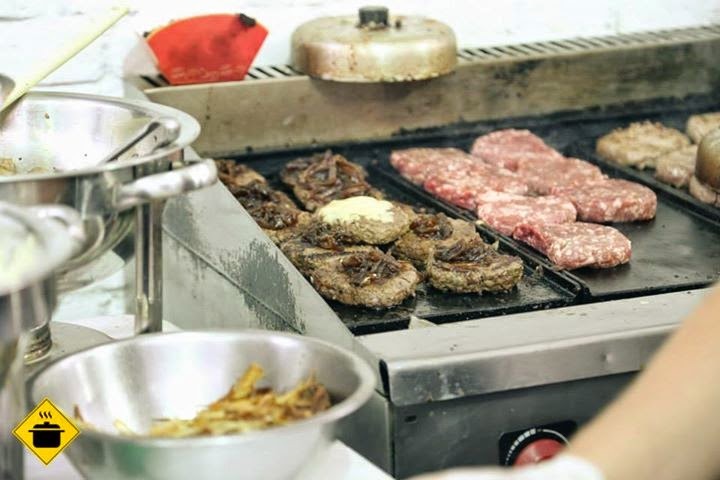 He is originally from Malaysia but is now based in London from which he uses as a hub for his trips arund the world. Viva Viva - Trailer - English from Carolina Pfister on Vimeo. 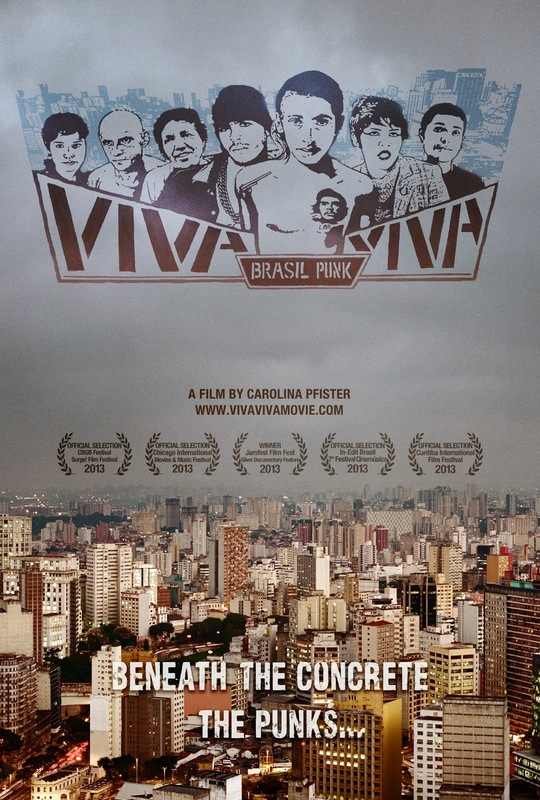 Yes, São Paulo is home to punk culture as well and the film VivaViva tells the story. The project was brought to life by Swiss-born Carolina Pfister and funded as a Kickstarter project. About the director: Carolina Pfister lived between Brazil and the USA for most of her life. She has worked with media in independent television and non-profits, and once received a Chicago Emmy for her short documentary television work. She also received a Women in Film “Emerging Latina Filmmaker” award, co-founded an inner city cultural center and farmer’s market, released her first feature length film on Brazilian punks, and is creating more in Portland, OR, her new home. Street art in this city is truly incredible and never ceases to amaze me. 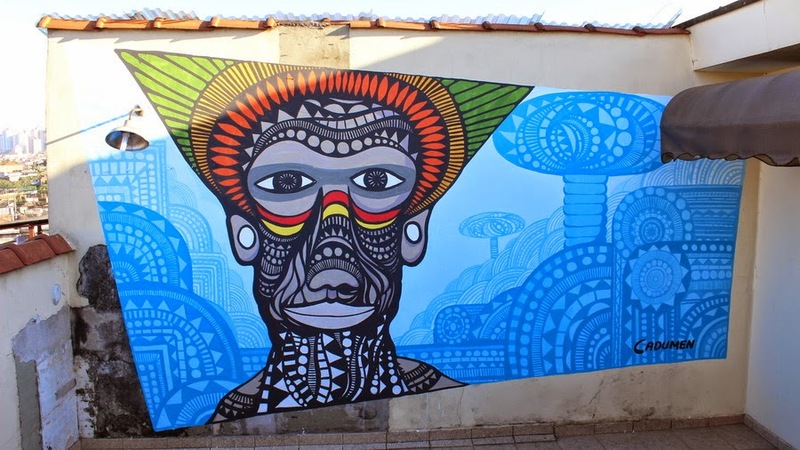 One of São Paulos great street artists is Cadu Mendonca aka Cadumen. 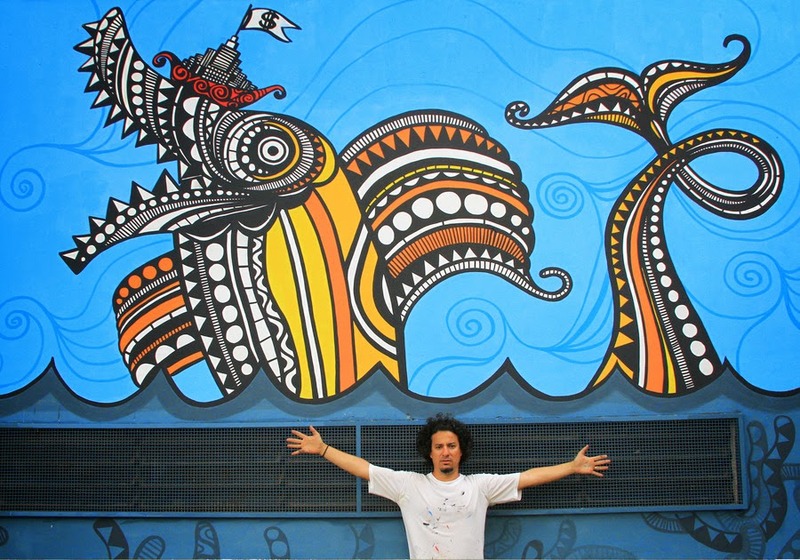 His work is inspired by nature, Brazilian folk art and urban street art. 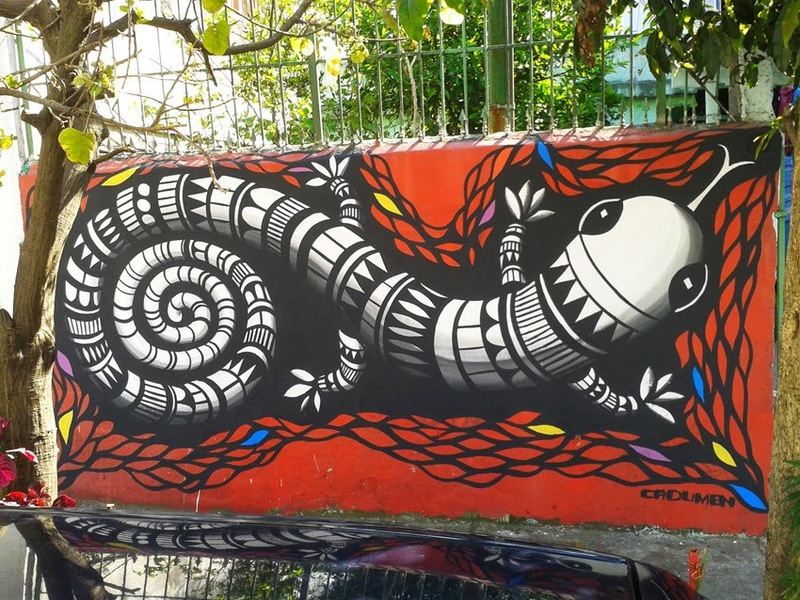 Cadu has already painted, amongst others, the walls of the MIS in São Paulo (museum for audiovisual art) and smaller spaces in Ibirapuera Park, turning them into beautiful pieces of art. Portuguesa is a football team you might not have heard before although it is the fourth biggest side in São Paulo behind Corinthians, São Paulo FC and Plameiras. It recently hit the news however with an unusual addition to the backroom staff. After a series of lacklustre performances Portuguesa decided to hire a hypnotist. The players now go through routines which include walking on glass and bending iron bars with their necks. 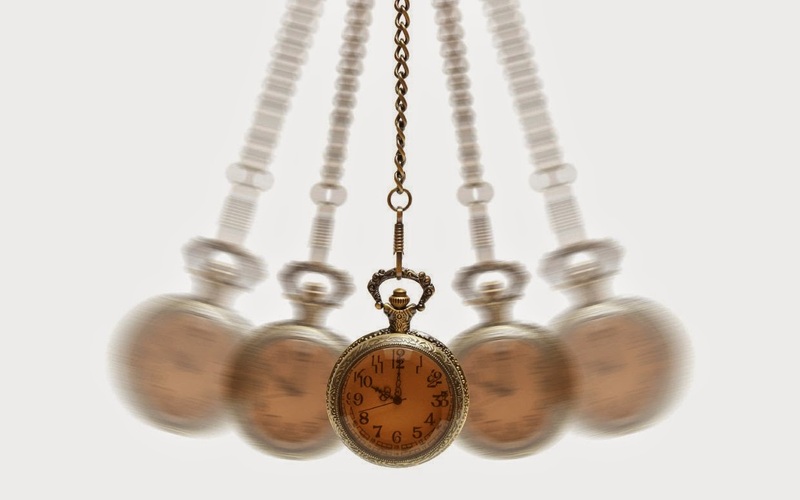 Tesser, the hypnotist claims: “I work with the human being, the man, and this is reflected on the pitch. If a player thinks he can bend iron and walk on glass, he can do anything in the game." Unfortunately this has not stopped their losing streak, not even getting on the scoresheet in their last game. Who knows by Saturday they will have turned minds to scoring a few goals..
Not new, but certainly still a very relevant documentary. 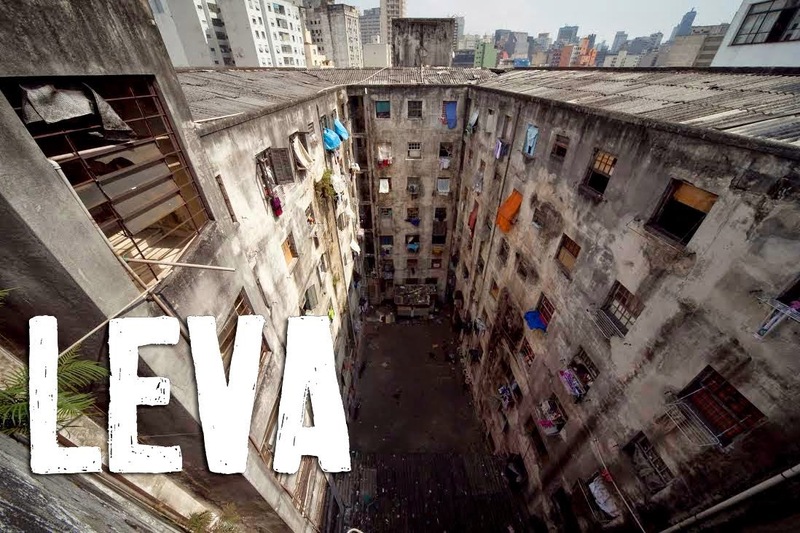 The film makers follow the lives of the over 200 families that occupy the Mauá building, located at 354 Rua Mauá in the center of São Paulo. Occupied since 2007, the building is at the centre of a movement to turn abandoned spaces into homes, by the Homeless Workers Movement (MSTC) and the Central Region House Movement (MMRC). Just a few months ago and a few days before reaching the five-year occupation mark, the owner of the building initiated repossession proceedings. 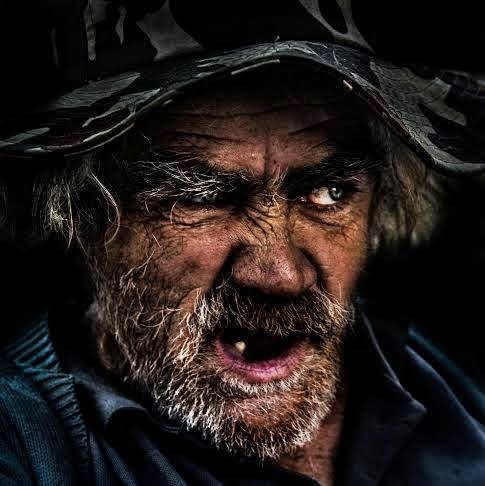 The city of São Paulo recently paid a deposit of 11 million Reais in a first step to acquire the building, ultimately planning to provide the inhabitants with humane housing conditions. Thank you all for reading, commenting and supporting me over the years! ps. if you are in SP and would like to offer your time to get it online again, please get in touch. 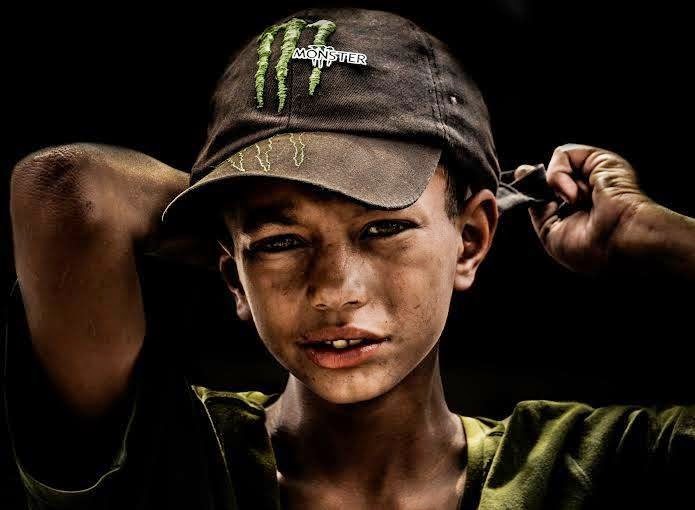 Everyone has seen this picture before. Well, almost everyone. 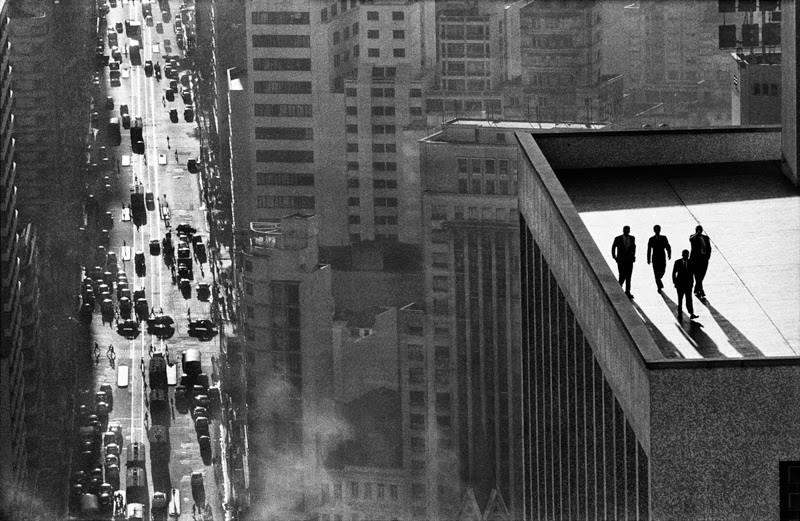 René Burri's iconic photograph is perhaps the most famous photo of São Paulo. Taken in 1960, at a time when São Paulo was on a rapid rise to become one of the world’s most important industrialised cities, the black and white photograph’s timing and composition perfectly captures the both the moment and the historical period. Burri was born in Switzerland in 1933 where he learned to play with his father’s camera. By the time he was 20, Burri was already a trained photographer of the Zurich School of Arts and Crafts and began documenting life as a cadet during his two years in military service. 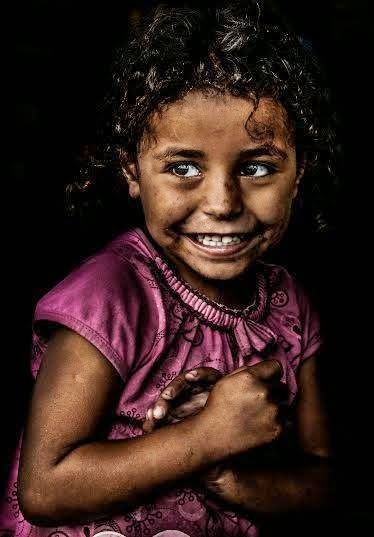 Only after this did he have some contact with formal photography studios and starting his own projects. Before long he was published in French magazine Science & Vie and embarked on a trip to Paris to personally show his work to Magnum Photos. 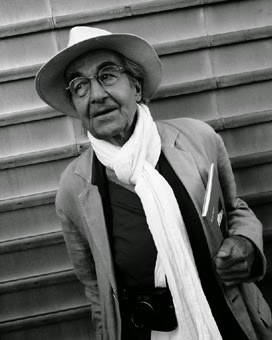 David Seymour co-founder of Magnum was so impressed that he made Burri an associate member of the agency and arranged further assignments for him. He soon began shooting in Europe, the Middle East and Latin America including Brazil. And it was while photographing in São Paulo, Brazil, in 1960, that Burri worked on an assignment for German magazine Praline and captured one of his most iconic images. The shot is of four shadowy businessmen walking on the rooftop of a skyscraper amid a smoke filled background, tens of stories above the busy streets below. 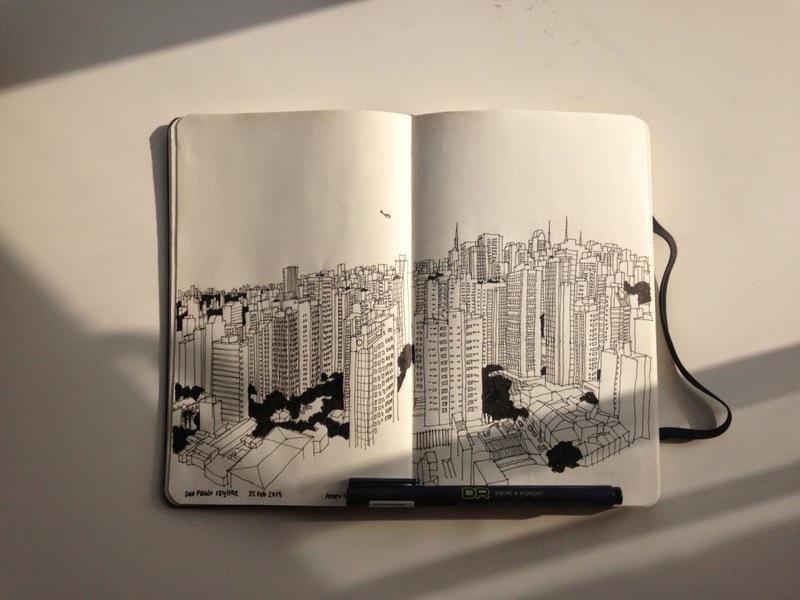 It was a stunning, dramatical image that announced the metropolis of São Paulo's to the outside world. Besides being iconic, the photograph has historical importance too in that it was a tipping point in Burri`s career. He shot it using an 18mm lens despite Magnum members only being allowed to shoot from 35mm to 90mm. Henri Cartier-Bresson, who had mentored Burri for many years and insisted on not using lenses below 35mm, was kept at a distance after this shot and Burri followed his own path into photography`s history books. He argued in favour of new and different photographic styles and continues to do so to this day. "Everybody now has a cell phone and can take snaps, which is great - even children," he says. 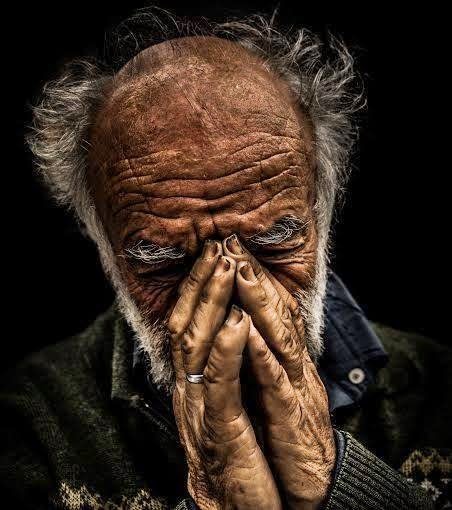 "But my advice for young photographers is to go and cover things that nobody else is thinking about. Put your nose into things. 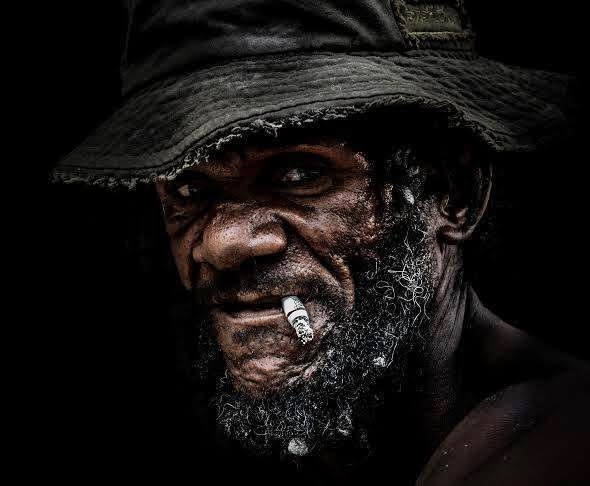 Use the third eye of the camera and don't be completely dependent on Photoshop or the way other people want you to cast the world." 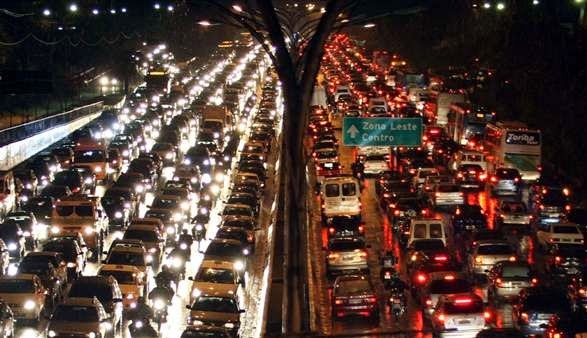 FIRJAN (the Industry Federation of the State of Rio de Janeiro) has just released data on the cost of traffic congestion in Rio de Janeiro and São Paulo. 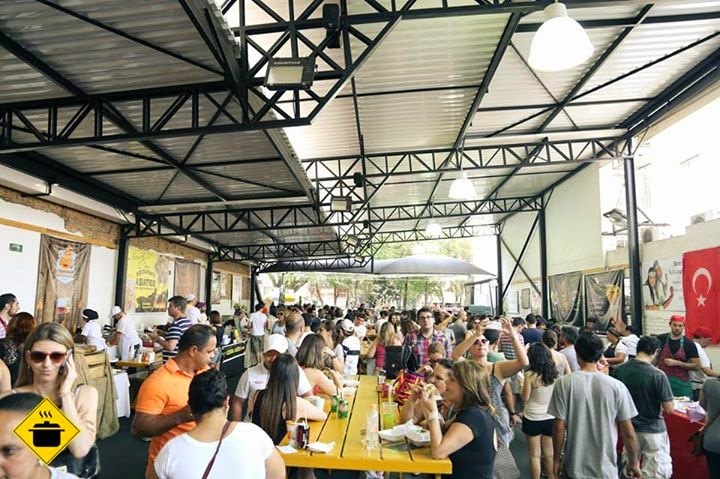 They estimate that together the two cities lost a staggering R$ 98 billion last year, the equivalent of 8% of the cities’ total GDP and 2% of Brazil’s GDP. This amount only takes into account lost work hours and doesn’t factor in the health impact of car fuel emissions on the general population or other indirect impacts on the economy. And yet even this conservative estimate is equivalent to the cost of building 200km of extra metro lines every single year! In fact the amount lost yearly is bigger than the estimated budget for transport capital investment in Brazil, Mexico, and Argentina combined. How the results will be interpreted, however, is another matter. The more congestion is seen as a problem, the more consideration is given to building extra lanes and highways thereby reinforcing the car culture. In a country where car ownership is increasing, local governments need to start thinking about long term solutions focused on encouraging the use of alternate transportation rather than accommodating additional cars which in turn will attract yet more vehicles onto the roads. 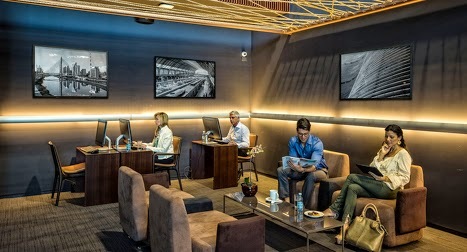 Check out the new Star Alliance lounge which has just opened at the new T3 terminal in Guarulhos. 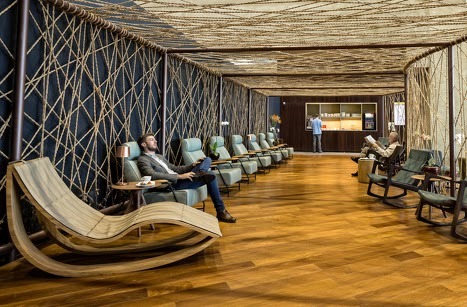 Following Los Angeles, Paris and Buenos Aires lounges, it is designed to be an alliance lounge rather than belonging to a specific airline. 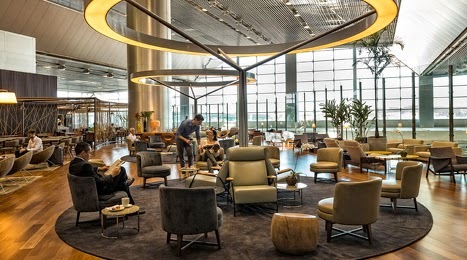 Star Alliance hired local designers who were tasked with creating a sleek, modern atmosphere using only Brazilian materials. 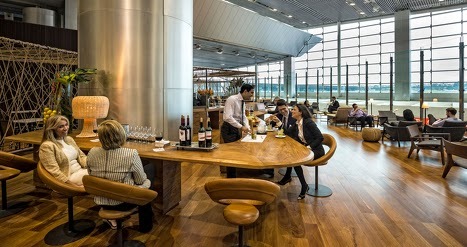 According to Star Alliance that meant "a very Brazilian look and feel, reflecting the strong artesian heritage of the country,"
"The use of wood, rope, natural fibres and typical ceramic finishing bring cosiness to a sophisticated interior and provides a relaxing and welcoming atmosphere to customers." 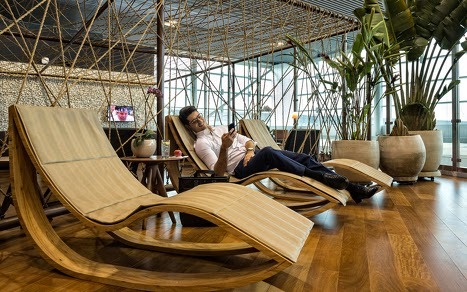 The 1350 square metre space has various seating areas divided into a variety of different sections including four shower suites, free wi-fi with wireless printing. 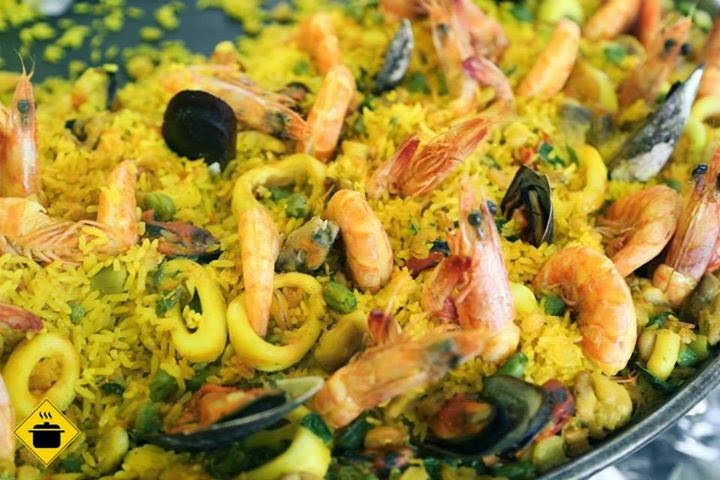 Now the catch; it is only open to guests flying first or business class or holders of a Star Alliance Gold card. 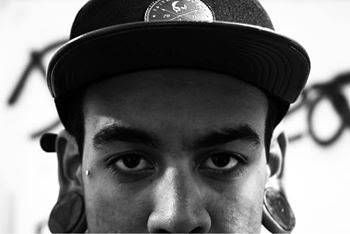 Born and raised in Porto Ferreira, São Paulo, Ruan Mosca is a local BMX rider. 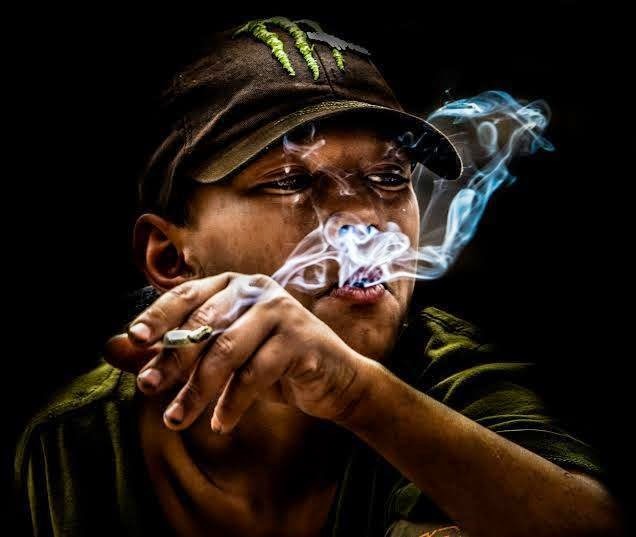 He's only 18 years old but has been riding since 2007 and says he plans to do so for the rest of his life or for as long as his body allows him to. 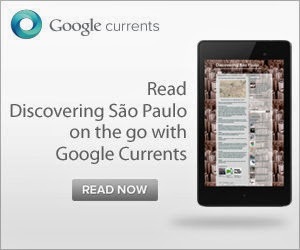 Below is a video of Ruan filmed during week stay in São Paulo. Ruan Mosca | SP TRIP from Bike Rules on Vimeo. 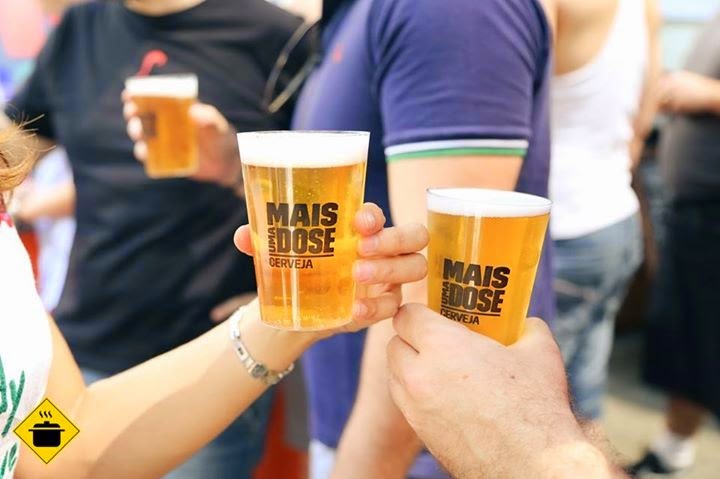 Today is the last day to take part in Morada da Floresta’s Composta São Paulo initiative. All you have to do is sign up on the website and enter the draw to receive one of 2000 home compost boxes. 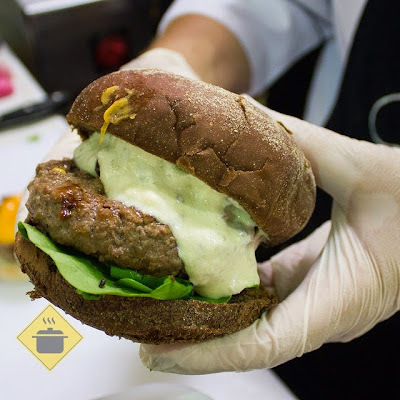 The initiative is a local government scheme aimed at reducing the 18,000 tons of rubbish generated every single day in São Paulo. Around 30% of that trash is actually organic matter and could be transformed into compost without ever leaving the home. Successful participants will receive training on how to recycle waste which is organic in nature, how to use the compost boxes and will take part in an online community aimed at sharing best practices and experiences. 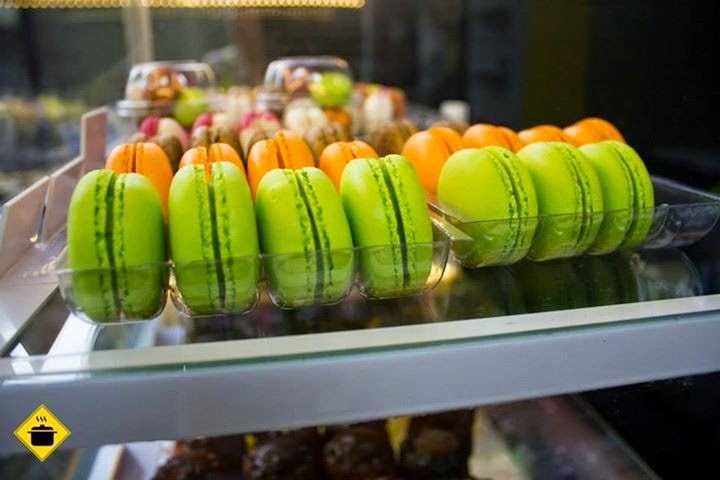 For the first 5 months of the Project, the immediate aim is to recycle 300 tons of organic material. In the medium term the strategic goal is to generate public debate and political pressure thereby increasing the number of people generating domestic compost. 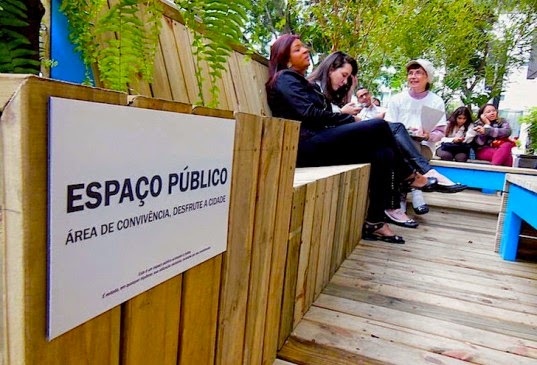 Green and accessible are not words usually associated with São Paulo but the new mini-parks planned for the city aim to make the city just that; more green and more people-focused. 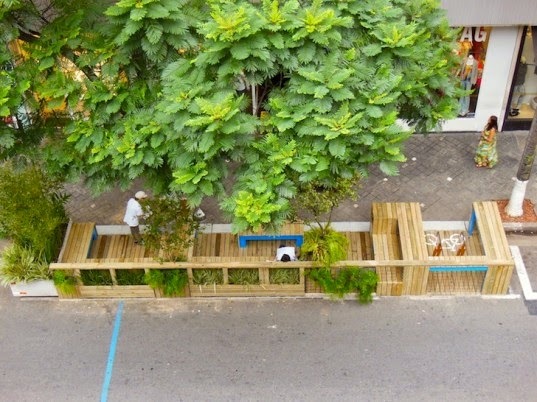 The mini-parks, known as parklets have already cropped up in various areas of the city as part of Environment week last year. Fernando Haddad, the mayor, obviously took a liking to the green initiative and they are now officially part of the city planning policy by decree. Parklets were conceived in San Francisco in 2010 as a way of creating greener cities. They are essentially tiny parks, the size of a fraction of a car parking space. It is a flexible concept which can but does not have to include items such as benches, trees, chairs or bike stands. 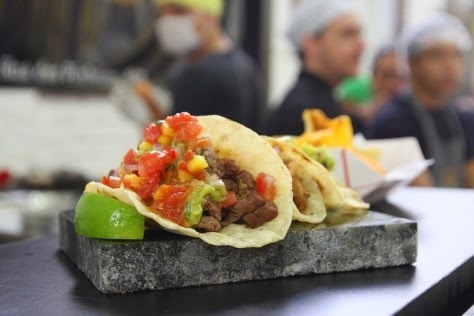 Gaining in popularity worldwide they have started to appear in various parts of the world over recent years but São Paulo will be the largest city to officially adopt them.